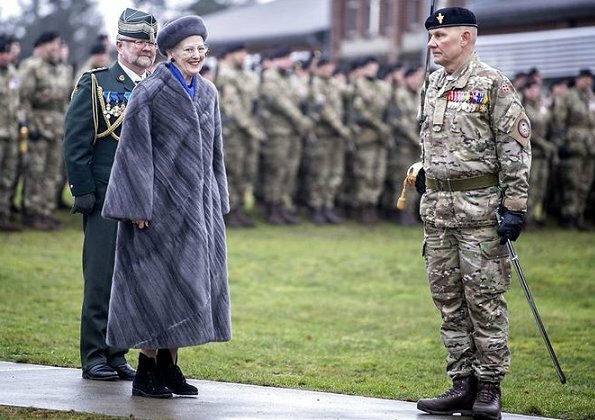 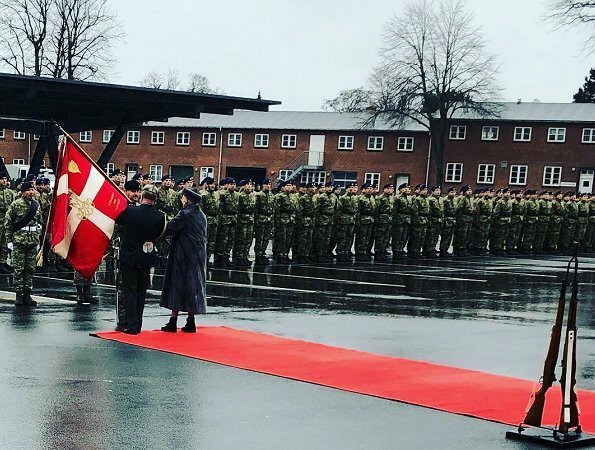 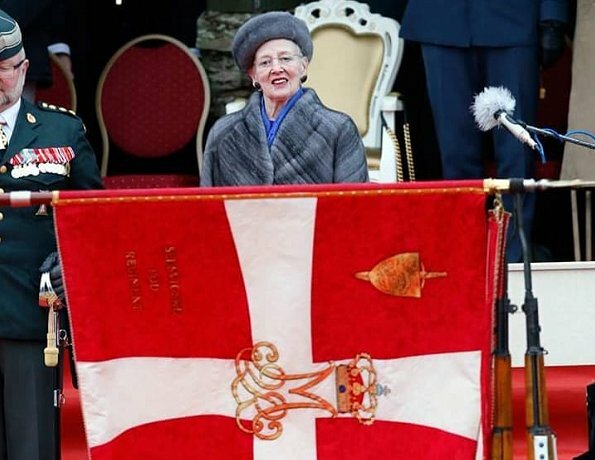 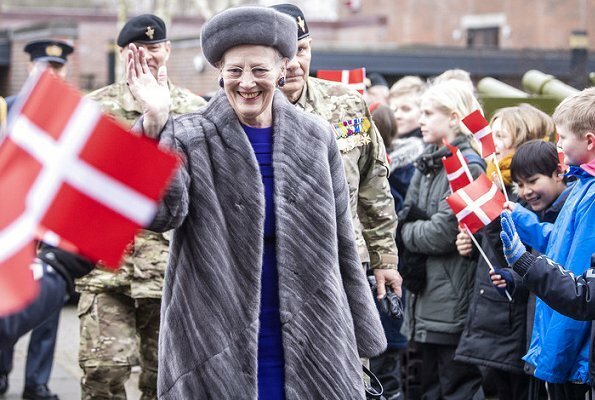 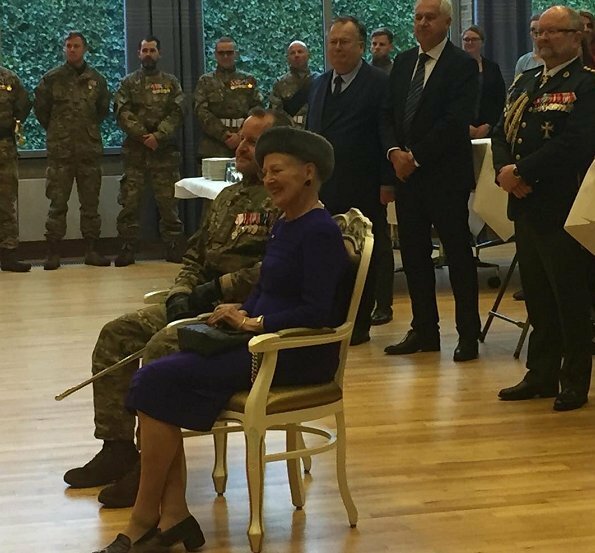 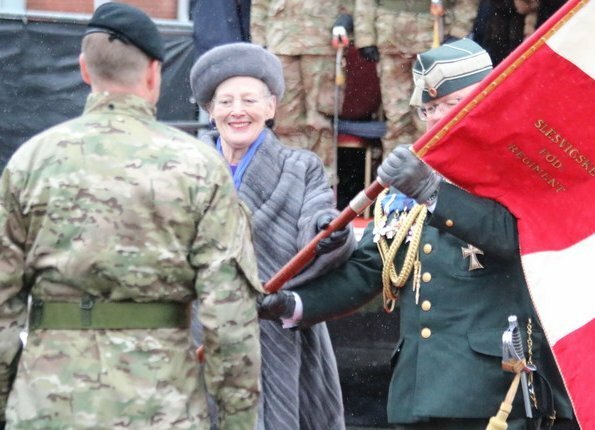 On February 8, 2019, Queen Margrethe of Denmark, accompanied by Minister of Defence Claus Hjort Frederiksen, visited Oksbøl Army Base to attend a parade marking the reinstatement of the Danish Artillery Regiment. 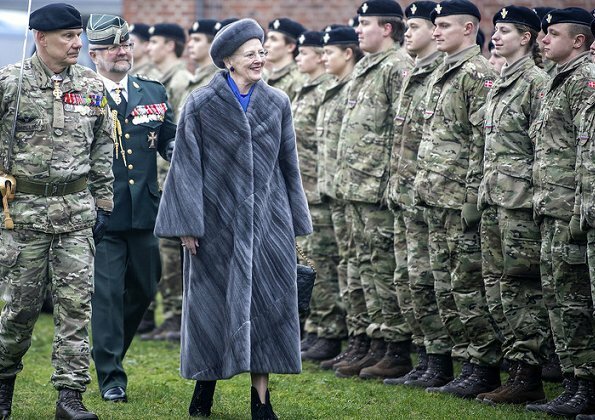 The Queen came to the base by helicopter and was greeted by a welcoming committee. 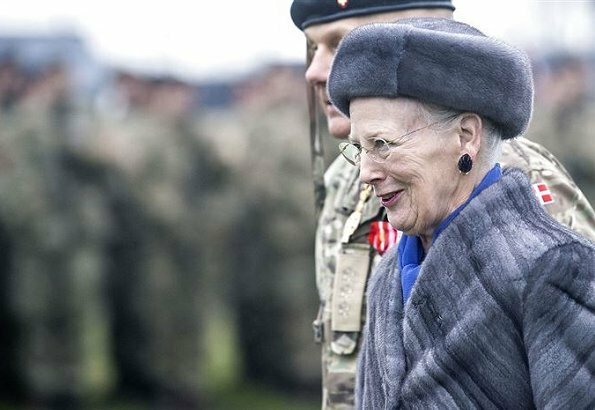 Afterwards, Queen Margrethe visited Schleswig's Foot Regiment at Haderslev Barracks. 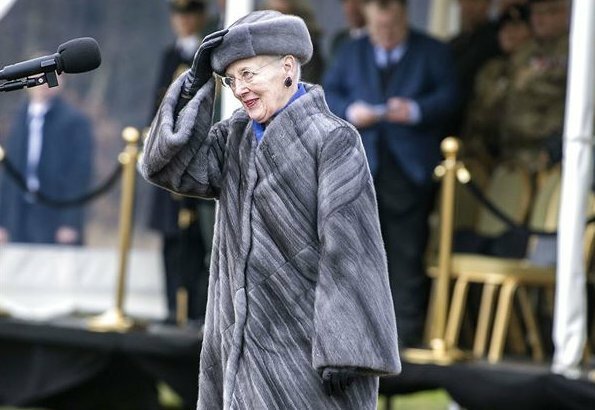 Q Margarete looks fantastic.Love this coat.